A 41-Year Star Wars Journey: What Went Wrong? 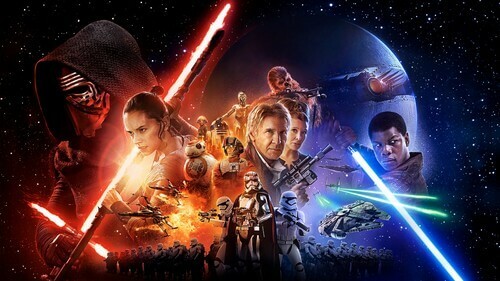 Home » Films » Star Wars A 41-Year Journey: What Went Wrong? Star Wars is a mega franchise which has a huge, huge influence on the pop culture in worldwide level. This franchise is the childhood of many people, including us. Many of us have fallen in love with the stories, the characters. But no matter how much we love the franchise, the current fact is that: Star Wars is losing its popularity, extremely quickly. But what happened? Why is Star Wars falling so quickly? Let’s find out! What Made the Original Trilogy so Great? 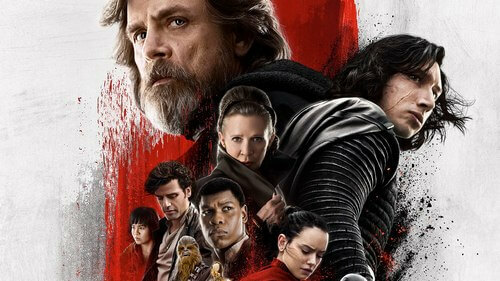 Star Wars The Last Jedi: What Happened? In 1977, the very first Star Wars movie written and directed by George Lucas (which later on officially named as Star Wars Episode IV A New Hope) was released and it took the cinema world by storm. Back to the day, no movie dropped such a huge bomb like Star Wars did. And then 3 years later, Star Wars once again captured the audiences’ heart with the sequel Star Wars Episode V The Empire Strikes Back, and next 3 years with the final sequel Star Wars Episode VI Return of the Jedi. Together these 3 movies created the legendary Star Wars original trilogy. In short, the original trilogy tells the story of a galaxy far, far away where the evil Galactic Empire, led by the Sith Lord Darth Sidious a.k.a Emperor Palpatine ruled that entire galaxy. Constantly fighting against this evil Empire is the Rebel Alliance – an organization with the purpose of taking down the Empire to restore freedom and peace to the galaxy. But to fight against such great darkness figures like Darth Sidious and the infamous Darth Vader, a hero is needed and that hero is Luke Skywalker. After a long time of constant struggles, pains, and losses, Luke, Han Solo, Princess Leia, and the Rebel Alliance finally “defeated” Emperor Palpatine and fulfilled their dream. Frankly speaking, the overall theme of Star Wars original trilogy is not exactly innovating. If we put it simply, it is basically about the battle between Light and Dark, heroes against villains. The Dark and the villains win at first, but eventually they will be defeated by the Light and heroes, thus restoring balance to the world. Sounds simple? Yes! Boring story? Actually no! In fact, such simple theme fit Star Wars original trilogy perfectly since viewers could easily understand what’s going on in this world. And instead of dwelling too much on the overall theme, the filmmakers and viewers can focus more on the story-telling and characters development, which are the two biggest reasons why Star Wars original trilogy was so compelling in the first place. We have Emperor Palpatine – Darth Sidious who we already knew as an evil master of the Empire in A New Hope. He is manipulative, evil, and powerful, he is both Darth Maul and Darth Vader’s mentor. Every time we see him, we feel the insanity within him and when we don’t see him, we just wish our beloved heroes not to face him at all. 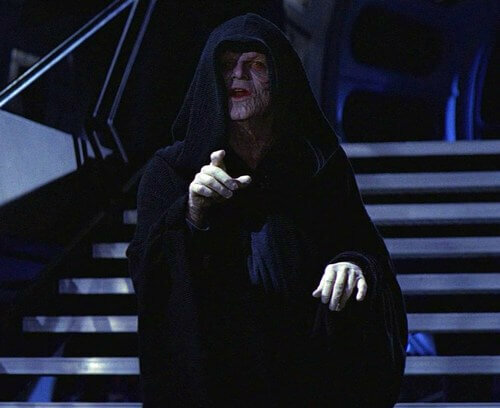 Especially in the prequels, Emperor Palpatine’s background was established even further like who was he before becoming the emperor? How did he get to that high status? We have Anakin Skywalker, a.k.a the Chosen One, a.k.a Darth Vader, a.k.a father to Luke Skywalker. 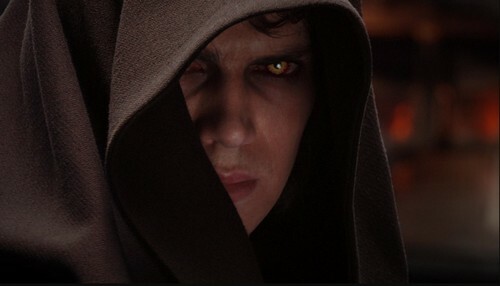 Anakin was destined to be the hero; however, he was manipulated by Palpatine and eventually fell into the Dark Side. He became a badass, brutal, unstoppable villain we all love. But no matter how evil he was, he could not kill his son. As the matter of fact, he did fulfill his destiny as he threw Palpatine into his death and saved Luke. It was beautiful end for a significant character such as Anakin – Darth Vader. Finally we have Luke Skywalker, son of Anakin Skywalker. He was trained to become a Jedi. He went through extreme hardships to become the man he was in Return of the Jedi. Luke is relatable to the viewers, we fell his pain, his hardships in life. Yet eventually Luke embraced all such horrible events, including his father being the evil Darth Vader. He became a bringer of hope and Light to the people, including us audiences and even his fallen father. Of course that is not to say that Star Wars original trilogy is a perfect film trilogy. But nonetheless, its compelling characters and their stories were what fans hold dear in their heart. The end Star Wars Episode VI Return of the Jedi did necessarily mean the end of the entire franchise. As we mentioned, the beauty of Star Wars lies within its vast world with lots of opportunities. There are so many stories which can be told, typically we have the prequels: Episode I The Phantom Menace, Episode II: Attack of the Clones, then Episode III: Revenge of the Sith. 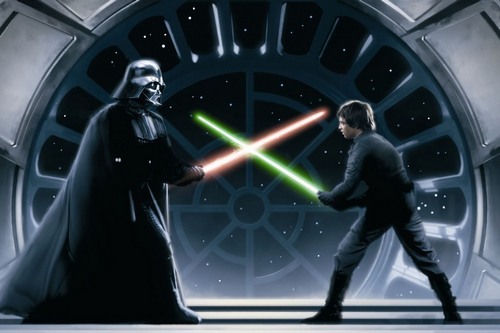 All of these three prequels add so much more to the original trilogy, including our favorite villain Emperor Palpatine – Darth Sidious and Anakin Skywalker – Darth Vader. 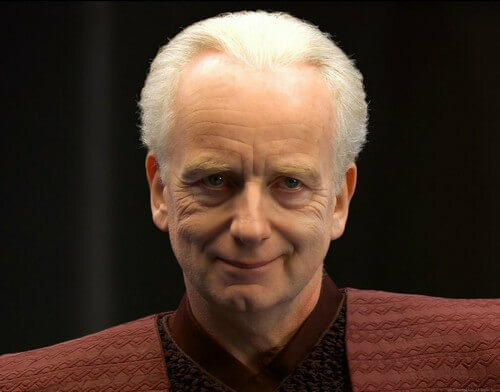 We got to see how Palpatine manipulated everyone within the Republic under the identity of Senator Palpatine. He orchestrated the Clone army, which later on led to the infamous Clone War. Lots of people trusted him, yet did not know that he was Darth Sidious – the one who would become the future tyrant of the galaxy. We also got to follow Anakin Skywalker’s journey when he was still an apprentice to Obi Wan Kenobi, to the point when he became a Jedi Master, and inevitably the point when he officially fell to the Dark Side. He was a good man; he trusted the Jedi until he saw the “darker side” of the Jedi and decided to follow Emperor Palpatine – Darth Sidious. It was a sad story for Anakin and also for his fans, as we witnessed a man supposedly to be a hero, but turned out he became the brutal dark lord, exactly opposite of what he once fought against. 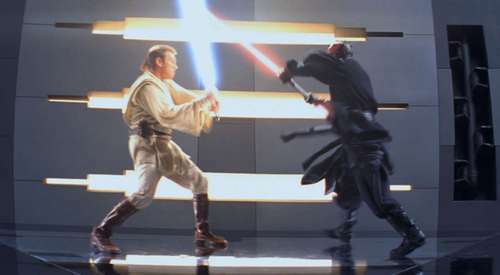 Aside from these two prominent figures, the prequels featured even more compelling characters, for example Darth Maul – former student of Darth Sidious. Darth Maul was first appeared in The Phantom Menace and he looked exactly like a demon incarnate. He was trained directly under Emperor Palpatine and thanks to him; we got to understand how crafty Palpatine was. Darth Maul with his scary face and his impressive red double-bladed lightsaber, Darth Maul quickly became fans’ favorite villain among the others like Darth Sidious and Darth Vader. 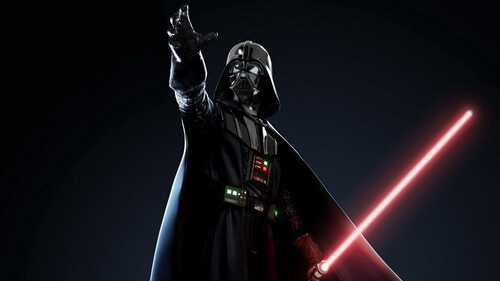 And talking about Darth Vader a.k.a Anakin Skywalker, we have to mention his mentor Obi Wan Kenobi. This charming Jedi Master represented what a Jedi mentor was like: skillful, wise, and hopeful. His story was also among the best, especially in Revenge of the Sith when he had to face his beloved student Anakin who was inevitably becoming a dark lord. 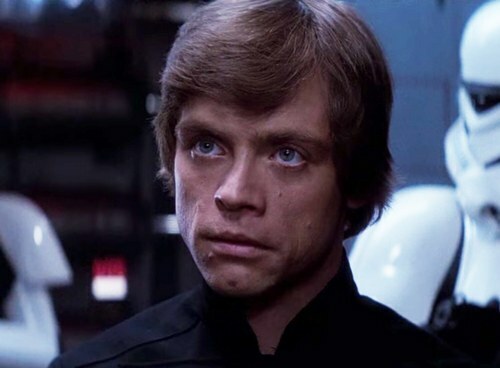 This devastated his hope greatly as he trusted Anakin to become the fabled Chosen One, until his faith restored once again when he met his student’s son – Luke Skywalker. Besides these prequels, we have Star Wars cartoon like The Clone Wars movie or the The Clone Wars TV series. These films tell Star Wars stories in a pretty different way than what we used to watch, but even so the stories are quite enjoyable and meaningful. And as we know, with the booming of Star Wars films, the Star Wars merchandise also became extremely popular throughout stores. Children loved Star Wars toys, tons of people, including adults and teenagers alike, enjoyed cosplaying their favorite characters like Vader, Obi Wan, and Stormtrooper. 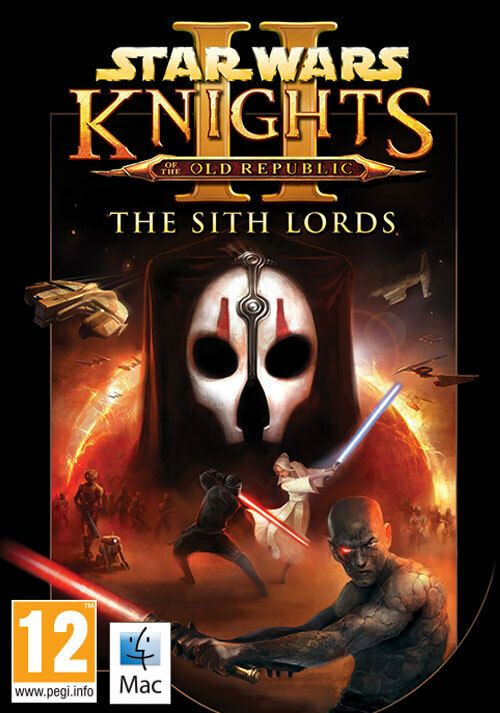 In addition, there were excellent video games of Star Wars theme like Star Wars Knights of the Old Republic by Bioware, the original Star Wars Battlefront 1 and 2 by Pandemic Studios, and more… Star Wars has become one of the most iconic franchises in entertainment industry and pop culture in the world… But what happened ever since? When Star Wars The Force Awaken first released in 2015, the film was positively received for most of the time. It featured a new Star Wars story which took place 30 years after the original trilogy. This time we got introduced with new characters, namely Rey, a force-sensitive scavenger from planet Jakku; Kylo Ren, a mysterious villain who turned out to be Ben Solo – Han Solo and Leia’s son; and Supreme Leader Snoke, a new evil mastermind – an extremely powerful Dark Lord who led the new “empire” First Order. As the first movie of the trilogy, The Force Awaken got quite lots of good impressions, especially the characters. Daisy Ridley and Adam Driver proved themselves to be excellent for the roles of Rey and Kylo Ren. Our good ol’ Harrison Ford’s Han Solo and Chewie also returned with as great chemistry as ever. The reunion between Han and Leia fell emotional indeed, and it also hinted a certain “bad news”. 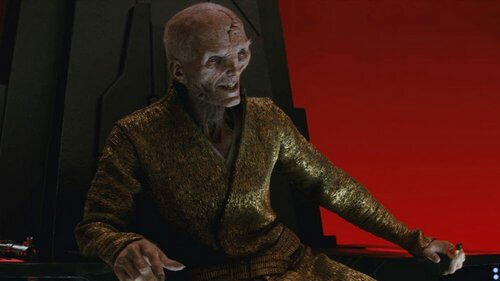 Supreme Leader Snoke despite having not much screen time still successfully gave out an eerie and imposing aura. He did feel like an extremely powerful figure who pulling the strings from behind. That said, for certain Star Wars fans, The Force Awaken was somewhat a let-down. It is not entirely disastrous, but it did cause some split among the fan-base. Then in 2016, we got a new Star Wars spinoff: Rogue One A Star Wars Story, which took place between A new Hope and Revenge of the Sith. The film was once again positively received in certain degree. It has great visual, cool action scenes and CGI, especially the space battle which felt really intense. The new protagonist Jyn Erso played by Felicity Jones is great actually and we could sympathize with her cause. Donnie Yen despite looking irrelevant at first managed to surprise us with his awesome performance. He felt truly like a badass throughout his every fight scene. 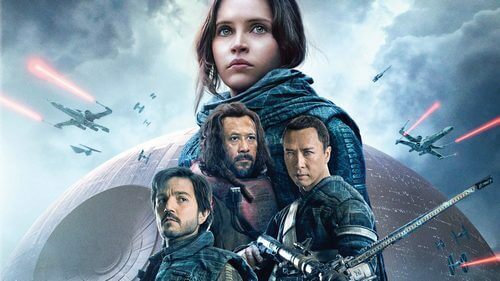 Rogue One in overall gave out a different sense than many other Star Wars movies. This one was a more serious, realistic, and adult-type of Star Wars. However, there are quite a number of flaws. For example, many side characters in this film fell like being thrown-in without much explanation why they were there. It also got pacing problem throughout the beginning but thankfully everything tied nicely in the latter half of the film. And then there was a biggest issue: It suffered from a major flaw of being too predictable. Despite all those issues, fortunately Rogue One was still an enjoyable Star Wars film in general with good actions and visual. In 2017, Star Wars The Last Jedi was released and it was the next sequel to The Force Awaken. Many viewers, many Star Wars fans anticipated really hard for this movie. But things did not turn out well. Frankly speaking, The Last Jedi was the most controversial Star Wars movie to date. It caused extreme disturbance and even rage among fans. If we looked at many reviews like from Rotten Tomatoes, IMDb, and Metacritic, The Last Jedi got an average score of 8/10 (or 80% if you may). That means this film is great right? Well, yes?… And no. Never before a Star Wars film had caused so much conflicts like The Last Jedi. 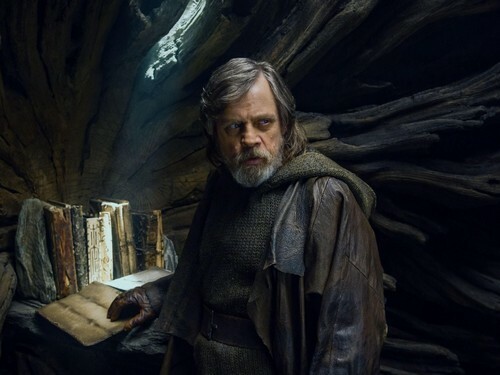 While the film was enjoyable for certain audiences, it felt extremely disappointing for many Star Wars fans, especially in terms of story-writing. The overall impression was that: it was not entire bad movie, but its plot was really weak. First off, there was a biggest issue which most people would agree: the Canto Bight and Finn and Rose side story were… extremely questionable. 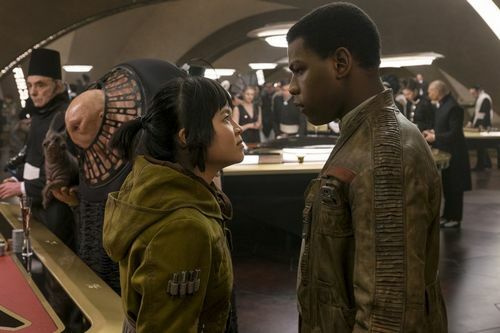 The Canto Bight arc was basically about Finn and Rose travelling to Canto Bight to find Master Codebreaker. This whole arc felt lackluster and even unnecessary for many viewers. It did try to send certain messages about social issues like the rich and the poor conflict or the animal abuse. But, all of these messages did not click; it did not feel as significant as it supposed to. Then we had the Finn and Rose side story in the final arc when Finn purposely tried to sacrifice himself to save the Resistance force. This part was supposedly to be an epic and emotional moment, but then Rose suddenly saved Finn and later on kissed him… It felt forced and awkward. Then we had another extremely controversial part which was Luke Skywalker. Rian Johnson had an interesting idea of delivering a meaningful message of a hero facing cruel reality. But then this sort of conflict did not click for many fans. Lots of reviewers considered Luke’s portrait here was disastrous. Luke in this movie felt out of place, out of characters. It suddenly went against the foundation of Luke from the original trilogy. From lots of fans’ perspective, Luke was a hopeful, positive, honorable man who had went through extremely hardships. He inspired lots of people in real life, actually. However, in The Last Jedi, Luke Skywalker suddenly became a coward. He did many out-of-character things like his attempt to kill his own student – Ben Solo when he was asleep? Why could he consider this action while back in Return of the Jedi he redeemed his father? And then we had other controversial part near the end of the movie when Luke faced Kylo Ren. It felt badass at first but then every hype fell apart when turned out it was just Luke’s astral projection. In fact, he was still in somewhere far away and when the battle was over, Luke’s real body gradually disappeared. This exact part made many fans enraged since Luke officially died, unceremoniously. It totally killed the character without any sort of worthy redemption. Next, we had Supreme Leader Snoke who gave out a chilling sense of an overpowered villain. But suddenly he was killed by Kylo Ren despite he was established to be able to see into Kylo’s mind. This so-called overpowered monster died disappointedly without any sort of explanation. Many people argued that it was only illusion, Snoke was not really there. However, many others thought that it was real; they purposely showed that Snoke officially died. Whether Snoke died for real or not? We would have to wait until the final film of the trilogy. But for now, this sort of event already caused a huge conflict between fans. 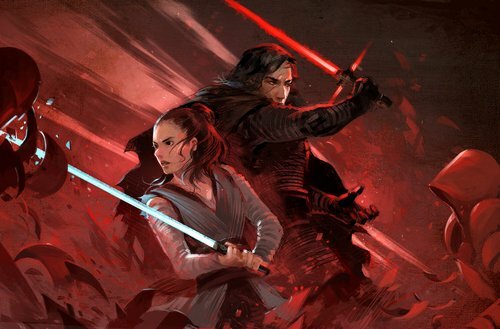 Finally we had Kylo Ren and Rey. To be honest, we also believed that Adam Driver and Daisy Ridley still did their great jobs. However, the way Rian directed these two characters was still extremely controversial, especially Rey. Many fans considered Rey to be lackluster and totally unrelatable. She was more like “Mary Sue” in this film: she was perfect in every aspect from fighting, using Force, to piloting. Rey even told Chewie what to do despite she did not pilot a spaceship much while Chewie had years of experience. Besides these controversial issues, many reviewers and fans even enraged for many other minor plots and details like why Leia could use Force to “fly” back to the ship? Why Hodor kept holding her “plan” and treated Poe horribly? Why hyperdrive could tear the colossal Supremacy ship apart while this never established before? There are so many problems which fans have been arguing throughout the Internet and this was definitely not a good sign for Star Wars. Coming to 2018 we just had another Star Wars spinoff: Solo A Star Wars Story which told the story of young Han Solo. This movie was not exactly anticipated by many fans; but nonetheless, its concept is quite cool. Would it give us a cool story about cowboy in space? Would it explain how Solo became such a cynical man like he was in A New Hope? Eh… no, it is none of that. 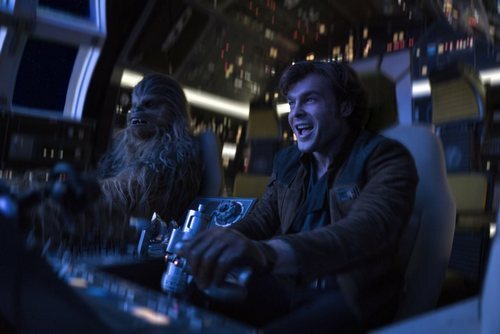 Solo A Star Wars Story is not a bad movie, but it is only mediocre at best. The plot basically tells about young Han Solo whose job was to take a certain package and bring it back. Simple as that. If you are expecting it to explain why Han Solo became cynical in his later years, sorry… there is no such conflict or explanation. The film does have cool scene like train heist; however, there is no memorable conflict, no worthy event, it is all like a “fetch quest”. The main antagonist of the film Dryden Vos played by Paul Bettany looks great. Paul Bettany is a great actor, but his Dryden Vos character does not feel imposing or dangerous like he should be. Alden Ehrenreich as young Han Solo is not bad as many people would think. He does a decent job in overall but his young Solo character does not stand out as he should be. 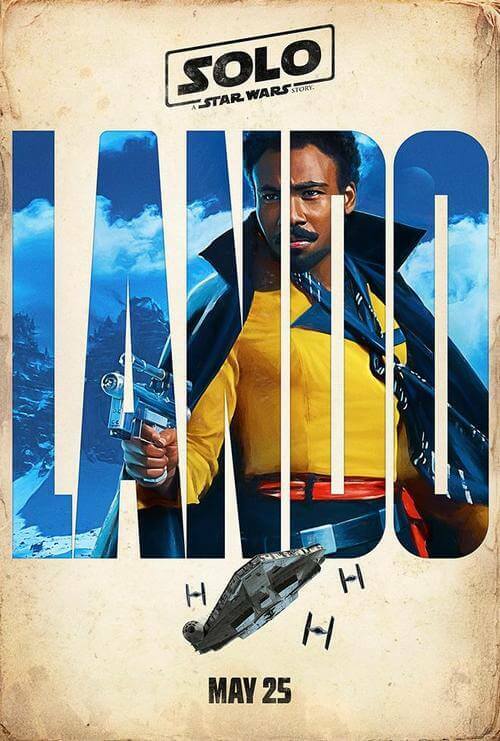 Instead, characters like Lando by Donald Glover totally outshines every time he appears. So in the end, what’s the result from The Last Jedi and Solo A Star Wars Story? To be honest, it is hard to say in behalf of all Star Wars fans and viewers. But from our perspective, these two movies lacked the core element which made Star Wars original trilogy so good: a good story and good character development. Both The Last Jedi and Solo A Star Wars Story fulfilled none of these two. They might be enjoyable for certain extent, but they always left a bad taste when we returned home. And the more we thought about the plots and characters, the more questionable and disappointed we felt. Both The Last Jedi and Solo A Star Wars Story were not the worst movies ever made. They had potential to tell extremely good stories with good characters, yet instead, what we had were mediocre Star Wars movies with mediocre comedy, especially The Last Jedi. A huge portion of the fanbase had already lost hope on the franchise. J.J Abrams will definitely have a hard time redeeming this Star Wars sequel trilogy with the last film. Can it recover from all these debacles? It’s remaining to be seen. But that’s only our opinion. What about you? What do you think about Star Wars franchise in its current state? Feel free to share with us and for now, thank you and stay tune for more news in the future! Pingback: Does Deadpool Annoy You? Heres's How to Beat Deadpool!